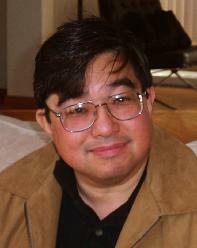 Sandy Kita is a Senior Scholar at Chatham College. He is the author of A Hidden Treasure: Japanese Woodblock Prints in the James Austin Collection (1996) and The Last Tosa: Iwasa Katsumochi Matabei, Bridge to Ukiyo-e (1999). Between 1998 and 2005 he taught an RBS course on the history of Japanese woodblock prints (I-80. Japanese Printmaking, 1615-1868).